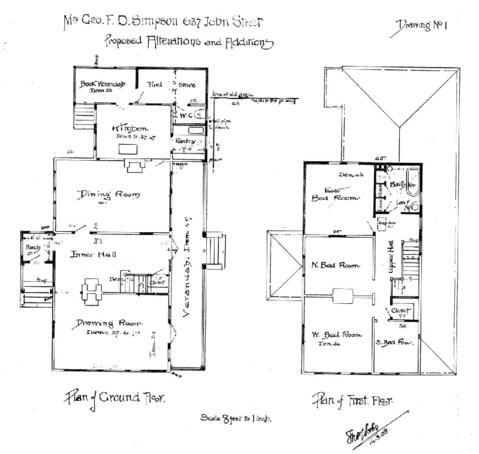 2 architectural drawings : blueprint ; 33 x 44 cm or smaller. Owner/client: Mrs. George F.D. Simpson.